Considering the fact that Internet advertising has been of immense reputation and for this reason, numerous agencies, organization, consultancies and portals have established. These aforementioned portals offer online digital marketing tools & services like setting up the outline for total marketing strategies for companies’ assortment or counseling them with suggestions. Despite the fact that it’s not easy, it’s key to remember that with the available key tools, digital marketing can improve a firm for the better. Asides driving traffic to your internet site, you’ll enhance your endeavors towards a yielding digital marketing strategy. Here is a list of 7 digital marketing tools every digital marketer should utilize. This amazing tool from Google provides you with site insights and gives advanced analytics solutions to monitor website guests on a real time basis. This means that you’ll be able to track and monitor the activities of a customer via the sales funnel all by using this tool. 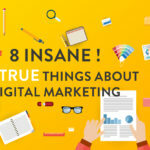 It is important for any business in the digital marketing industry due to the fact that it helps you to comprehend ways to get your audience and drive immense traffic to your internet site. Everybody wants to know where their visitors are coming from, how much traffic they are driving to their site, which of their site pages that performing well and which of them are the visitors viewing when they decide to surf to another website. All these answers are provided by Google Analytics. If by chance you already have a site; and you are utilizing Google Analytics, you are good to go! All you need to do is ensure you log into the Google Analytics dashboard to check if you are meeting your desired marketing goals so that you will be able to make proper decisions that will improve your business. This is a business-oriented social network that lays much emphasis on professional connections, career development, industry discussions and other sorts of business-related activities. In the event that the actual market for your services and products is from other businesses, then LinkedIn is the place to be. Like Facebook, LinkedIn wants your business promoted on their website by setting up a page called the LinkedIn Company Page. Asides your personal page, this company page has the needed resources and resources to know more about the individuals following your brand, which is key for any business. It enables your audience in differentiating you from various competitors. LinkedIn is an essential digital marketing tool in the world of online marketing because it enables a firm to grow an email marketing list, generate leads, post high-quality content which gives value to clients and customers, allows you to join groups and stay active, gives a face to your company, and build relationships. 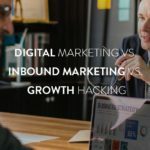 To crown it all, there is a page dedicated solely for digital marketers that supply updates to the latest innovation, best practices, and trends in digital marketing. This is a new online tool for graphics design that helps you in timely content building. When you spend several hours using Photoshop and other online image libraries in order to build your info-graphics or Facebook cover image, or eBook; Canva is the ultimate choice for you. With templates and layouts for established marketing content and a broad library of both paid and free instant artwork and images covering many subjects available within the application itself. It is a platform to create quick highly professional designs. The drag and drop interface is easy to use and intuitive. So if you are an amateur designer, producing a great piece of content within a limited time won’t be a problem. This is a calendar tool for marketing and aids in planning, promoting, executing, and automating digital marketing. This is achieved by eliminating the miscommunication, disconnected workflows, and complex spreadsheets while creating visibility in the ongoing projects. Coschedule serves as the focal point for your inbound marketing since it unites content marketing, marketing projects, blog management, and social media marketing. Buffer is a tool that automates the timing of posts made on your social media networks. It has a modern interface, and options for adding various social networks, notably LinkedIn, Facebook, and Twitter. It allows you compose status updates and tweets which can be posted immediately across multiple social networks. You decide whether to update the post immediately or later. You can create many posts enough to fill your social media networks for a week; or more and add them all to your Buffer queue, and the app will post them at the appropriate time. It chooses a time based on most clicks and retweets happen. This amazing tool analyzes the entire usage of Twitter, not just your individual account. Skimlinks aids the digital marketers by giving them the power to make compelling content. This is achieved by facilitating insights on the sort of content that performs the best and likewise guides you on the expectation of the clients. Skimlinks possesses numerous features with which your income increases exponentially while generated data helps to make additional cash from the sales of premium adverts. In the event that you have an insight about the service or products the client wants, then your content will be much better. As a result of this, the customers will eventually make more purchases. Infusionsoft is a tool that aids in sales automation and marketing, and its goal is to help the small scale businesses thrive. Using this software, you can attract new people, improve the conversion rates, master e-commerce, manage each step of the sales process, and save time to enable you to do more work. In addition, using this software; you can know the tactics of other successful digital marketers, which you can then implement to your business. 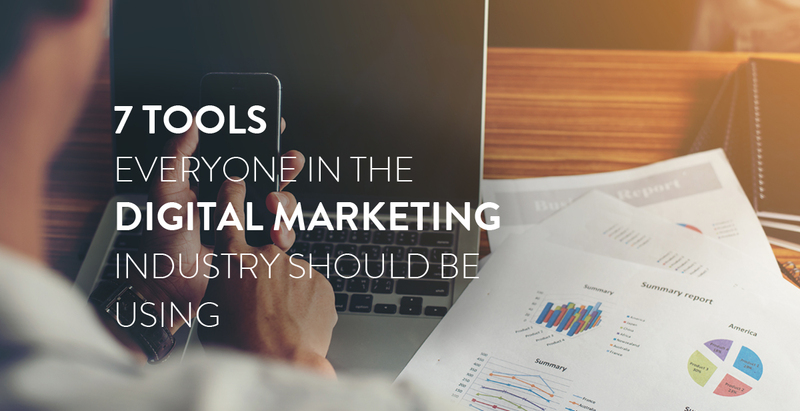 The best marketers are those that utilize these digital marketing tools effectively. These tools can be extremely valuable for digital marketers who can make the most of it. Take time to study how to use them and you’ll be guaranteed success in the digital marketing industry.